The Dolphin Shopping Centre in Poole partnered with Poole High School to celebrate the artistic talents of its GCSE and A-Level students. 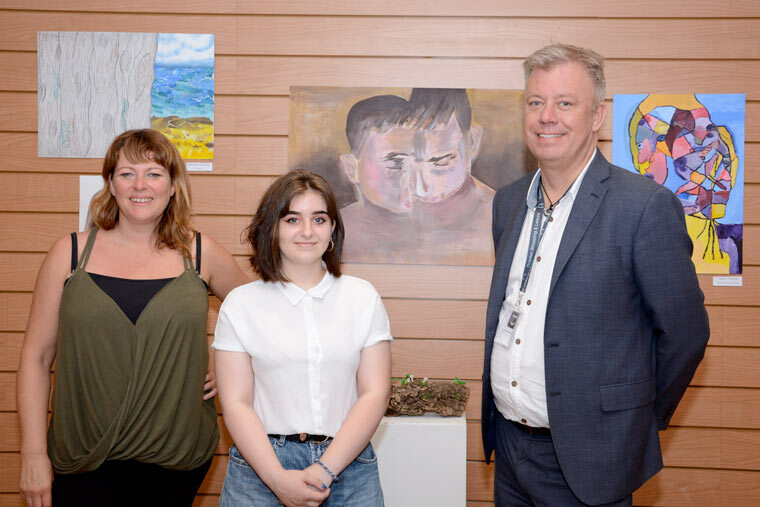 In a first-time partnership with Poole High School, the Dolphin Shopping Centre opened a temporary art exhibition displaying GCSE artwork. Created by the students, included textile and product design, prints, paintings, ceramics and photography, the exhibition was manned by Poole High sixth formers, who were responsible for welcoming guests and answering questions about the art. The Dolphin Shopping Centre will host a private viewing of the artwork on Saturday July 8 from 1pm to 3pm, especially for family and friends of the Poole High artists to celebrate their hard work. John Grinnell, centre manager at the Dolphin, commented: “We’ve had an overwhelming response to the student art exhibition; it’s been so well received by members of the public. Shoppers were really drawn to the exhibition because of the diverse range of artwork on view. For further information on events at the Dolphin Shopping Centre, visit www.dolphinshoppingcentre.co.uk.